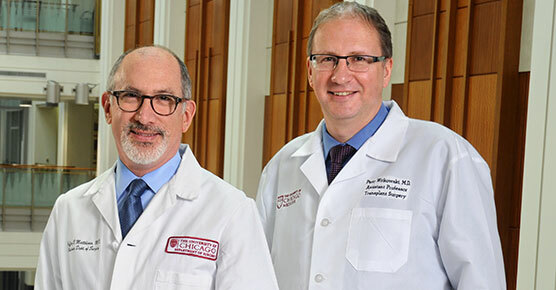 Breakthroughs made at the University of Chicago Medicine have shaped today's treatment of diabetes. Notably, one of our researchers played a crucial role in the discovery of insulin — an event that has saved countless lives of people with Type 1 diabetes. More recently, we were the first hospital in Illinois to perform a pancreas transplant for a patient with advanced diabetes. Currently, we are also testing another exciting, but experimental, treatment for Type 1 diabetes known as islet transplantation. When Type 1 diabetes cannot be controlled or is causing serious problems, a patient may want to think about a pancreas transplant. For patients with severe Type 1 diabetes, a pancreas transplant offers the greatest chance of a lifestyle free of insulin shots. This procedure is for people with Type 1 diabetes who have healthy kidney function or who already have a functioning kidney transplant. Nearly all patients who receive a pancreas from a deceased donor no longer need insulin shots. Their risk for kidney disease and other diabetic complications may also be lower after a transplant. Patients who have Type 1 diabetes and significant kidney disease may require a combined kidney and pancreas transplant. Their kidney and pancreas are from the same deceased donor and are transplanted during the same operation. 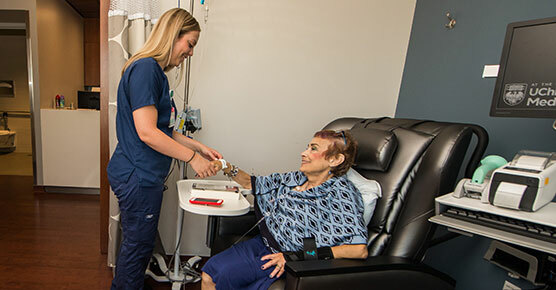 For many diabetics with kidney failure, this procedure provides the greatest hope for a life without dialysis or insulin injections. Success rates for both of these transplant operations are high. Patients who remain free of rejection for the first year have a high likelihood of keeping their organ for one or more decades. We consult one-on-one with patients and their families to determine the best option: pancreas-only or combined pancreas-kidney transplant. We pride ourselves on being available at all times to patients. The entire team works exclusively with transplant patients, allowing us to offer tailored treatment and unmatched expertise. During the months before and after transplant surgery, each patient is assigned a transplant coordinator. She or he is your personal advocate and is available by phone or page any time of the day or night. We are among a select number of hospitals in the country testing the effectiveness of islet transplants. Islet transplants are intended to treat advanced Type 1 diabetes by replacing destroyed islets with new ones. The islet cells from a deceased donor's pancreas are removed and injected into a patient's liver so they may begin to make insulin. No surgery is needed. Though promising, we still don't know the long-term benefits and risks of this procedure, which is why we are active in multiple clinical trials.